In 2014, PLOS Biology published an article about a cousin of ours, a member of the Sono Community of wild chimpanzees in the Budongo Forest in northwestern Uganda. In a video shared in relation to the study, an alpha male, NK, gathers moss from a tree trunk just within his reach, a prize he will use to lap up water in a nearby pool. He is observed by a female, NB, who will be seen in another video to copy that behavior, diffusing an innovation already in play. Not so extraordinary, you may say. NK was simply exploiting a hitherto unexploited characteristic of a natural niche, whereas the eusocial insects—wasps, bees, and ants—create whole cities; indeed, leaf-cutter ants practiced agriculture 30 million years before we got around to it. But there is a difference that makes a difference. Leaf-cutter ants did not design their cities; they did not invent agriculture; they did not intend to cultivate the edible fungus on the leaves they harvested. Their young did not learn the techniques of agriculture from their seniors. Unlike us and our cousins, leaf-cutter ants are programmed by their genes to harvest and cultivate. NK’s behavior is another matter. He intended to gather his moss; he did so because he thought it might be a useful tool for sponging up water. NB learned the technique from him. This guy was pacing back and forth, lecturing animatedly without any notes, talking and gesticulating, writing a lot of genetics on the board, and occasionally showing a slide… Philosopher Tom Goudge had just written a book on [evolution] in which he said that there was a lot going on, but that he was not going to talk about anything before it was settled. But this guy was a scientist, so he didn’t have to wait—he could talk about things he was trying to GET settled. Why do mentors bother? They do so because they have a deep intellectual and emotional commitment to a practice whose continuance they want to ensure. E. O. Wilson, a scientist for all seasons, exhibits another important mentor characteristic: intellectual work should be, equally, a voyage of discovery and of self-discovery. While completing his doctorate in Australia, one of his students, Aniruddh Patel, had an “epiphany.” With trepidation, he writes to Wilson that “the only thing I really wanted to study was the biology of how humans make and process music.” Wilson’s response is wholly in character: “You must follow your passion. Come back to Harvard and we’ll give it a shot.” Patel’s later career shows that Wilson was right to encourage him to follow his dream. In dreams, William Butler Yeats says, begin responsibilities. Why do mentors bother? They do so because they have a deep intellectual and emotional commitment to a practice whose continuance they want to ensure. Their legacy is not just their personal contribution, their re-imagining of biology or Beethoven; it is also the next generation of biologists, philosophers of biology, and concert pianists. By means of such inspired mentoring, the inclusive fitness of a particular tribe increases, and the richness of a particular tradition of practice becomes more widely proliferated, more firmly secured against the winds of change. Featured image credit: Uganda-947 by Helena Van Eykeren. CC-BY-2.0 via Flickr. Alan G. Gross is a Professor Emeritus of Communication Studies at the University of Minnesota-Twin Cities and a National Communication Association Distinguished Scholar. 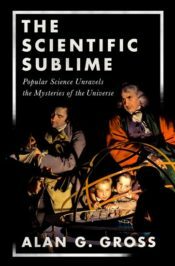 His specialty is scientific communication, and he is the author of The Scientific Sublime: Popular Science Unravels the Mysteries of the Universe (OUP, 2018).